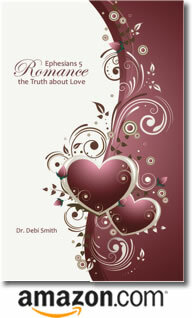 Posted by occhristiancounseling in classes, Dr. Debi Smith, Stories. You don’t say much. You don’t know what to say. You wish she’d just let it go, but she never does for long. You told her you were sorry. What more does she want? Every time she brings up the subject, you go silent … or leave the room. You try your best to stay calm and hope it will just blow over. You take it for as long as you can, but sometimes you lose it and yell back at her. You hate to say mean things, but it’s the only way you can get her to stop. So you dread coming home from work. You can’t find a way around it. So you spend a lot of time golfing with your buddies … or zoned out in front of the TV or computer. You feel criticized, attacked, confused, alone. You used to feel so close to her … safe. You miss that. You’re losing hope of getting it back. Posted by occhristiancounseling in classes, Dr. Debi Smith, stonewalling. As a couples therapist, I’ve had a lot of opportunity to observe how hard women work at their relationships. When something’s wrong, it’s often the woman who notices it and wants to talk about it – to figure out what’s wrong and fix the problem. Chances are, this woman won’t be able to wait for him to bring up the problem again. She’ll be miserable waiting on him to say something. At best, she’ll feel like it’s just not that important to him. At worst, she’ll feel like SHE’S just not that important to him. As the hours and days tick by, she’ll start to feel more and more anxious about their relationship. For women, being stonewalled by a partner creates excessive anxiety—and anger. Now, for the surprising side of stonewalling: It’s actually much more damaging to the relationship if the woman is the stonewaller!! QUESTION: Do you shut him out when he hurts your feelings or does something you don’t approve of? The female version of stonewalling can be subtle (refusing to talk to him for a few minutes) or dramatic (pouting, stomping out of the room, slamming doors, not speaking for days, etc.). EXERCISE: Observe your own behavior today. Notice how often you stonewall in response to something he says or does. Remember, your stonewalling may be more subtle, so you’ll have to be a diligent detective. Click here to share your thoughts if you wish. Or register for the FREE eCourse: Why Won’t He Talk to Me?